In 1953 the Slovak Academy of Sciences was established. The Astronomical Observatory at Skalnate Pleso was an integral part from its very beginning. 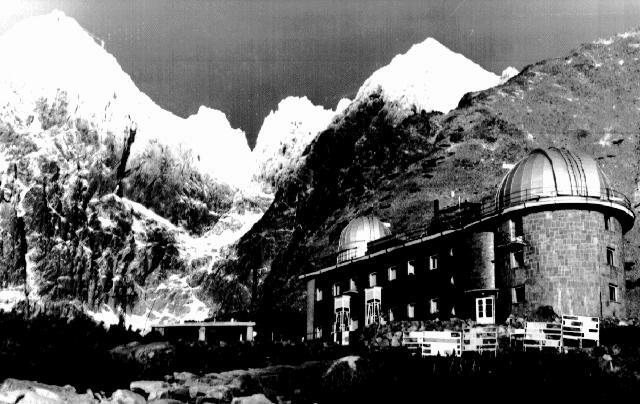 It was a very good initiative aimed at supporting science in Slovakia, which resulted in the construction of a coronal station on the Lomnicky peak (1957-1962) where a 20 cm coronagraph was installed. In 1970 an identical telescope for observations of prominences was installed. Today, the coronal station ranks among four existing stations worldwide which systematically observe emission spectral lines of the corona. In 1961, a 30 cm astrograph (Zeiss Jena) was bought for the small dome at Skalnate Pleso, which was utilized for the observations of minor planets and comets, to found at their exact positions. The astrograph was replaced by a 61 cm reflector in 2001. In 1979, the construction of a new headquarters at Starolesnianske luky, some 2 km from Tatranska Lomnica, was initiated. As a result, new observational pavilions for the telescopes were built. At present, the complex includes: a 60 cm reflector for stellar astronomy, a 20 cm refractor for observation of the solar photosphere, a 15 cm refractor for observation of the solar chromosphere in the H-alpha line, and a 50 cm horizontal spectrograph (F=35 m) for spectral observation of the solar surface and manifestations of its activity. Recently, CCD detectors have been installed on almost all telescopes. In 1987, coronagraphs designed by the Institute's staff were installed on Russian satellites (Phobos 1) and 1991 (AUOS). They were designed to observe white light corona. An explanation of the activities of the Astronomical Institute would not be complete if observations of the total eclipse of the Sun were neglected. Since 1954, a total of 15 such expeditions have been held to this date. Their scientific programme includes the study of the morphological and physical properties of the white corona. The Institute maintains a relatively well-organized library and an on-line connection via the internet. The advancement of the Astronomical Institute was also supported by the establishment of the Slovak Astronomical Society in 1959. Formerly the society organized its activities within the framework of the Czechoslovak Astronomical Society; in 1966 it became an independent entity. The beginnings of investigations in stellar astrophysics field go back to the 1950's. An earlier photographic camera was utilized for observations of long-period cepheids, then stellar photometers were designed and built to observe other variable - RR Lyrae-type stars and eclipsing binaries. As the Astronomical Institute only possesses two 60 cm photometric reflectors, an international frame of collaboration is intensively used on. Simultaneously spectroscopic studies were based mainly on the spectroscopic observations with the 2 m telescope of the Astronomical Institute, Czechoslovak Academy of Sciences, Ondrejov. Close international collaboration has also been carried out with astronomical institutions in the former Soviet Union, Bulgaria, Italy, Poland, Canada, Sweden and Germany. 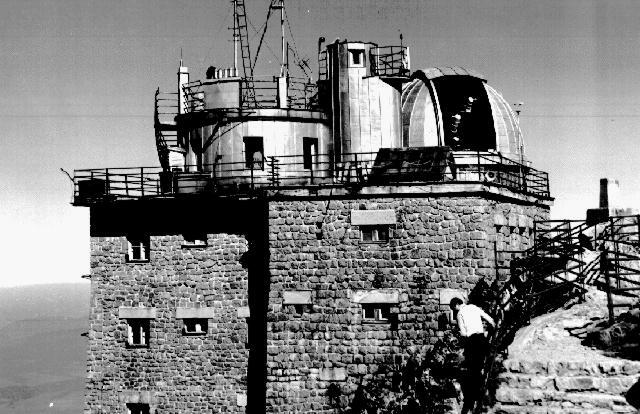 Since 1955 the Contributions of the Astronomical Observatory Skalnate Pleso have been issued. The journal has been indexed by ISI from 1992 and is mirrored by the Astrophysical Data Services.